This course, originally scheduled for February, is now being held April 22-May 2. Registration has been re-opened. Please register by April 1. Understanding tree biology is essential in making sound orchard decisions in the tree fruit and nut industry. This course incorporates lectures, labs, and field demonstrations on basic plant biology and the relationship between plant biology and nuts and fruit orchard management. This course is for commercial growers, and not tailored to home gardeners. Nine full days of instruction. 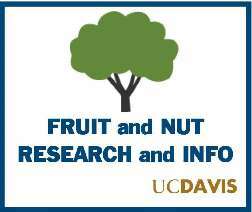 The first five days are at UC Davis and the following week is a field trip through fruit and nut tree growing regions of California. Participants can attend for one or two weeks. Agenda and registration material here.